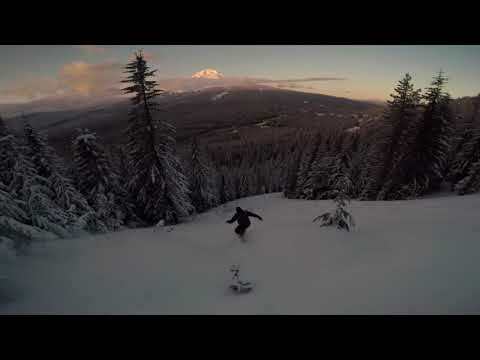 Here's What's Happening at Skibowl this Weekend! 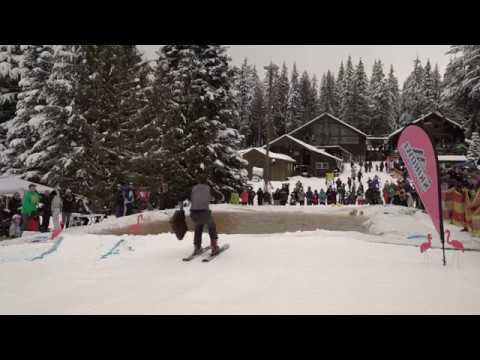 The Snow Tube and Adventure Park at Skibowl East is fun for all ages! The fun begins as you ride one of our two conveyors to the top of the main hill. Then it’s a heart pounding ride to the bottom in one of our specially designed tubes. The Snow Tube and Adventure Park is open weekends and school holiday periods during the winter from 10am to 4pm. The Snow Tube and Adventure Park also includes the Indoor Two Story Super Play Zone, Amazen Maze, Kiddie Snowmobiles, Frosty’s Playland and more! The best party on the mountain! Open Friday and Saturday from 5pm- 11pm and Sunday from 5pm-10pm. Enjoy 600,000 LED lights, laser light shows, black lights, and pumping music. Don’t bother walking up the hill with that big tube like you would at most other tube hills, just jump on Mt. Hood's only two conveyor lifts dedicated to tubing, and relax all the way to the top! Great fun for the whole family, and kids too! The jolly elf himself will be visiting Skibowl December 9th &10th and December 16th & 17th from 11:00am to 2:00pm. This year Frosty will be joining him as well! 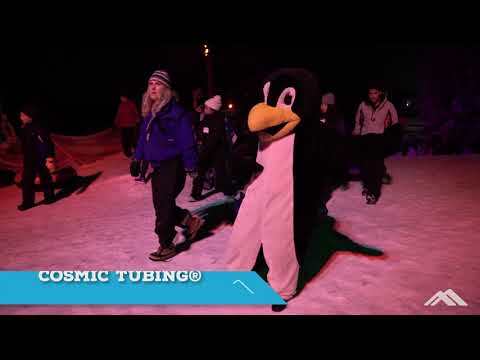 Head to the Snow Tube & Adventure Park at Skibowl East and join in the festivities. Nonstop NFL Mayhem this Sunday from 11am to 11:30 pm Come join us for food, fun, and FOOTBALL!. Fill the your football season with good food, good drinks and better times! This Saturday and Sunday you can snowshoe up a VOLCANO! This 2.5 miles snowshoe tour is beginner and kid-friendly, and takes roughly 2 hours. Registration begins at 9:30 am at Mt Hood Adventure (Located in the Huckleberry Building). This tour is $55 per person, and each person is provided snowshoes and trekking poles. Luxury Mount Hood lodging set in the heart of Government Camp, Oregon. Our high quality resort vacation rentals are perfect for your Mt. Hood retreat! Our experienced and onsite Vacation Specialists and staff are committed to providing exceptional service and wonderful and memorable experience for all of our guests. We look forward to seeing you on Mt. Hood! Come join us at the Ratskeller in Government Camp for Holiday Breakfast! We'll have Buffet style breakfast and a Bloody Mary and Mimosa Bar from 7am-10:30am starting Saturday, December 16th - Tuesday, January 2nd. Beat the lines and traffic and join us early!